If you know me, then you know that I love the Borderlands series made by Gearbox Software. And if you love Borderlands, I know that you love loot as much as I do. A modern day dungeon crawler that replaces axes and swords for guns and more guns, Borderlands literally has millions of guns that can be created in the game. Looting becomes a lifestyle, and with this new Loot the World app, you can bring that looting mentality to the real world too. Once the app is linked to your Gearbox SHiFT account that you use in game, you can start scanning friend’s loot codes. Everyone’s code is a different piece of loot that can be then imported into the game and used to kill bad people. 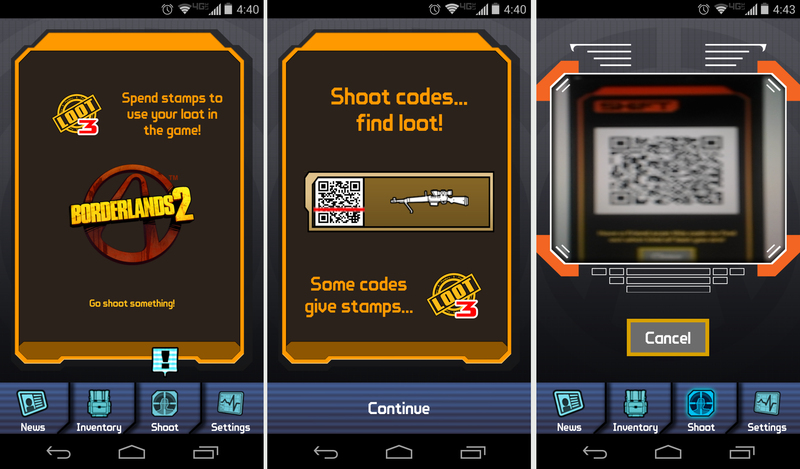 Gearbox says that the QR scanner works with any QR codes and barcodes, stating that there are chances of getting stamps out of any code that you can find out in the world. Early reviews seem to suggest it’s not working as well as intended, but that can be easily fixed. Gearbox promises there are even more ways to loot the real world coming through this app, but this is already a great start. Any Borderlands fans excited to hear about this app?